There’s nothing quite like exploring the wilderness by bike. You can (usually) go much faster than on a regular ol’ hike and it’s much easier to carry all of your gear on two wheels than two feet. And then there’s the freedom you feel—it’s just you, your rig, and the wilderness to explore. The only limit is how far your legs can go in a single day. Whether you want to cross the high desert, wind through forested singletrack, or experience every season in one long ride, there’s a route out there waiting for you. If you’ve been looking for your next bikepacking adventure, here are five of the most amazing (and challenging) options in North America. What to Expect: Want to tell people you biked from Canada to Mexico? This is how to do it. 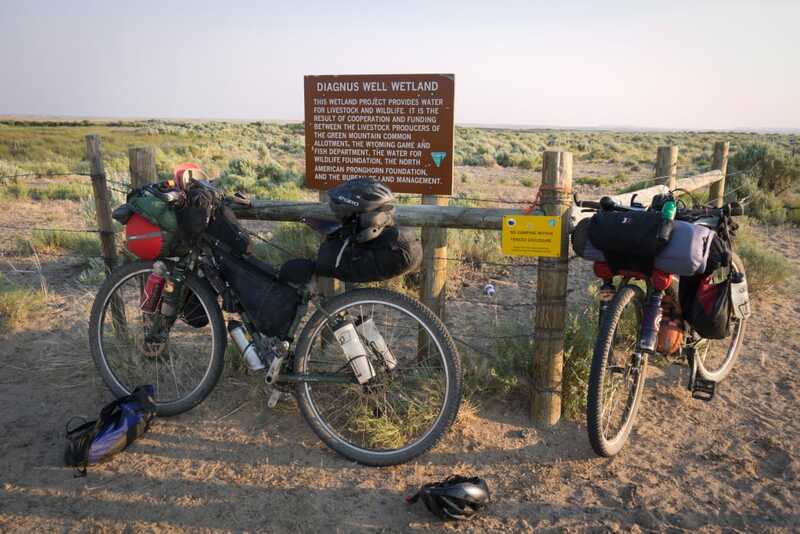 Starting near Jasper, Alberta, and traveling to Antelope Wells, New Mexico, this route is said to be the birthplace of bikepacking, and it is the longest off-road continuous bike route in the world. The route traces the Continental Divide, and the even grade and lack of technical riding make it achievable for most cyclists. Don’t mistake that for easy, though: You’ll gain more than 200,000 feet of elevation and top out at a lofty 11,000 feet. Expect a cross-section of the American West, with windswept plateaus, epic mountain ranges, multiple wilderness areas, and remote rivers and lakes. It’s just you, your rig, and the wilderness to explore. What to Expect: This ride is known for its wide-open prairies, rolling grasslands, and buttes rising into the sky before dramatically plateauing off. You’ll get up-close and personal with elk, pronghorn, deer, and other wildlife, while the backdrop of striated mountains creates an otherworldly landscape. The route is both technically challenging and physically demanding, with steep climbs, silty water crossings, and potential for the clay-like trail to render your drivetrain useless in just a few minutes. The Maah Daah Hey Trail is accessible via shuttle thanks to the numerous gravel road crossings, making it easy to start or stop in different spots. The official route begins south of Medora, North Dakota, and ends near the entrance to Theodore Roosevelt National Park. You can cover a lot of ground on a bikepacking trip—and explore the region further by getting off the trails. What to Expect: With more than half of the miles on singletrack, this is one of the premiere bikepacking trails in the country. Riders who complete the trail will have gained more than 66,000 feet of elevation, ridden at altitudes over 8,000 feet, and plowed through some of the most incredible old-growth forests in the nation. There’s a little bit of everything on this trail, from open vistas to towering peaks to dense deciduous and evergreens. If you find the secret hot springs, remember to keep them a secret. What to Expect: Don’t let the lower elevation of the East Coast’s Appalachian Mountains fool you—this is a tough one. There will be overgrown sections, extremely rugged terrain, and sections where you swear you set out on a bike route, but you seem to have been pushing your bike for ages. Trust us—it’s worth it. The combination of farmland, singletrack, ridgelines, and stunning forest make for an incredible journey. 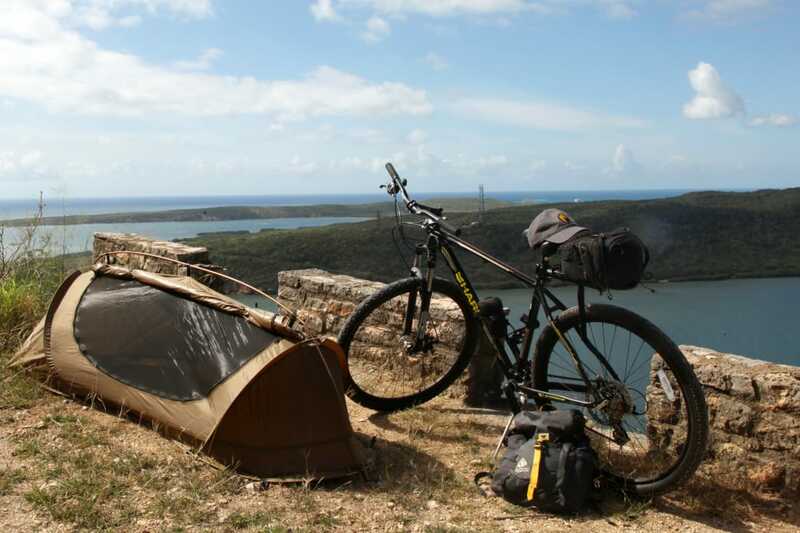 This is one of the most technically challenging trails on this list, and should only be ridden by bikepackers with significant mountain biking experience. What to Expect: The Rocky Mountains are already home to some of the most epic singletrack in the country, so why not just ride the whole thing? The average elevation for this trail is 10,000 feet—and it stays at elevation for nearly the entire time. That means there is a narrow weather window to bag this route. This trail is among the most difficult in the country thanks to a combination of physically demanding terrain (think steep, seemingly never-ending climbs at altitude) with sections of trail requiring advanced technical riding skills. Get ready for exposure, grizzly bears, lightning storms, and pretty much anything else Colorado’s high country can throw at you. Written by RootsRated for Catoma.